I hereby declared this the last post with very poor photo quality. For some reason this is what happens when I post through the app on my iPad instead of using the computer. 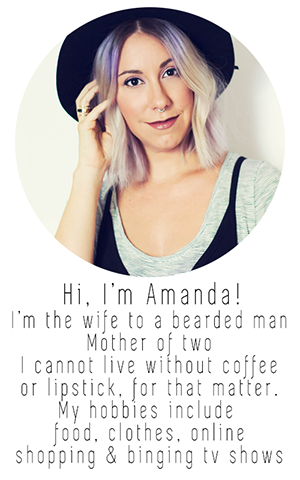 I thought it would be a great alternative but it makes for horrible photos. Actually the photos are beautiful... Until I load them into the app. And then they get compressed or something and it makes them super fuzzy. I already had these photos on the iPad, the last ones, so one more horrible picture post. Onto the cookies, that is what is important. 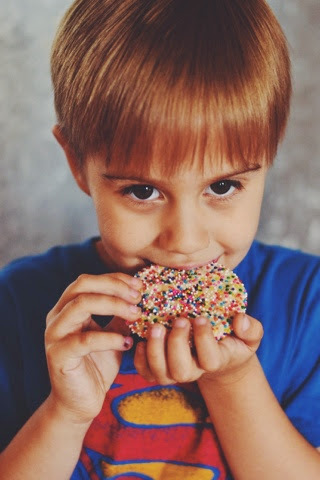 Friends have noticed a trend on my Instagram, my son's food is constantly showing up covered in sprinkles. I haven't convinced him that flax seed mill is sprinkles, but I get an E for effort, right? But if it's cookies, cake, cupcakes, ice cream or a sweet strawberry drink his favorite barista, Katie, whips up for him, it's covered in sprinkles. Actually we just ran out of sprinkles. Better put that on the "buy in bulk at Sam's club" list. These cookies came by complete chance and the sprinkles are his brain child. I was just desperate for sweets. My husband had convinced me to military diet with him, it's a terrible 3 day diet that shaves off pounds but leaves you curled in an angry, starving ball by the end of the 3rd day. I lost 4lbs and it wasn't worth it (feed me). Due to this diet, I did not allow the purchase of any sweets or snacks on grocery day because I would inevitably crack and wake up surrounded by empty snack bags on the 3rd day. Hangry sleep walking, it happens. In my desperation for sweets, I found I had everything I needed for sugar cookies... except for vanilla extract. I'm apparently blind, even with my glasses, and I bought vanilla NUT extract. It's actually good but definitely different from vanilla BEAN. I keep using it, regardless. I set out to make good 'ol classic sugar cookies, rolled in sugar and pressed flat. And then here comes my son, "Momma?" He asked, his big hazel eyes already turned on me, "Can we put sprinkles on the cookies?" 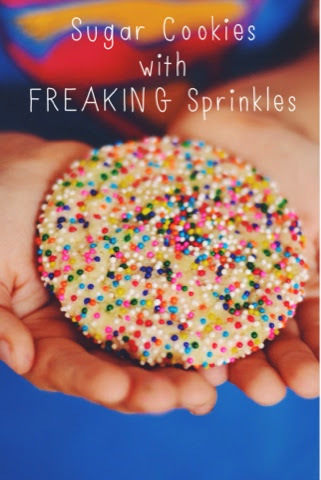 I began to explain how the sprinkles would just fall off and then I thought, "What if we rolled the cookies IN the sprinkles instead of sugar?" Couldn't hurt to try, right? I put the sprinkles in a bowl, rolled me a ball of cookie dough and rolled it in the sprinkles. So far, so good, the sprinkles stuck! Now I was worried they'd melt onto the pan and we'd never get the cookies off. We baked them, I was holding my breath the entire time, and the cookies came out looking out amazing. Gave them five minutes to cool and they popped off the pan with ease, didn't even need my spatula. Holy cow, ya'll, it worked. The idea of a sprinkle obsessed four year old boy worked! The sprinkles are obviously crunchy on the outside, but it gave way to a wonderful, soft sugar cookie inside. Now, to explain why I named them as I did. My son loves to watch videos on YouTube of people playing through games. He actually figured out over a year ago that he could watch people play levels on YouTube and then return to his game with the solutions to the level he was facing. In particular he enjoys watching Angry Birds and Bad Piggies, but not all gamers are "Mom Approved" and on occasion I have to tell him to choose a new video due to language. Well, one must have slipped past me. He was playing Angry Birds Star Wars II when I hear it, "Freaking red bird! Stupid red bird!" I quickly corrected him and explained it just was not a kind way to talk. I mean, "freaking" isn't a bad word, but I flinch at the word it implies, especially coming out of a four year old's mouth. I do not like zee f-bomb at all, to me it implies a lack of vocabulary when used too frequently. Just my humble opinion. So, since he can't say it, I'll pass it to you all. Enjoy our sugar cookie recipe, with freaking sprinkles. Sugar Cookies with Freaking Sprinkles. Cream the butter and sugar together, until it becomes fluffy, this takes a couple of minutes. Add the egg and stir until it is combined. Add in the flour, baking powder, salt and vanilla. Stir until well combined. Using a cookie scoop or a tablespoon to scoop out a small portion of dough, enough to roll about a 1 inch ball. Add sprinkles to a separate bowl (or just sugar if you prefer) and roll the dough ball until it is completely covered in sprinkles. The sprinkles should stick on their own. Place on a greased or lined cookie sheet, repeat, spacing balls about 2 inches apart. Lightly press each cookie down, I used a heavy bottomed pub glass, careful not to flatten it too much. Place cookies into oven and bake for 8-10 minutes. Don't bake them longer than 10 minutes or they'll get hard! Remove from oven, let cool for 5 minutes and then move them to a cooling rack. Allow to cool completely and store in an air tight container. And try not to eat them all at once!